If you choose to purchase your new car from a dealership, be prepared for a bit of a wait. 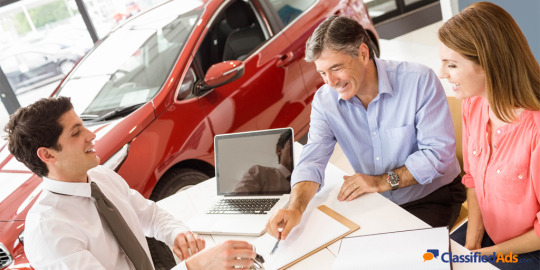 Most experts estimate that buyers spend an average of four hours in a dealership during the purchasing process. The time can be even longer if you include the time savvy buyers spend browsing cars, contacting different dealerships, test driving, obtaining needed financial information, and finally signing the paperwork. Click here to find cars for sale near you. If you’re looking to trade in your old car for some money toward the new one, this purchasing process could take even longer. This is due to the fact that you will need to have the title to your old car and possibly service records if you want the best price. Click here to see which cars are currently on sale in your city. If you have all your paperwork straightened out ahead of time and you’ve already chosen the car you want to purchase, it should only take about two hours to actually sign the documents and drive off with your new car. In order to expedite this process and get behind the wheel of your new car even quicker, use a financing platform like Detroit Trading Company’s Finance Direct service to get your funding squared away fast. Although buying a car from a dealership is typically an extensive process, you can make it much quicker with expert financial services help. Nobody wants to spend all day in a dealership, but being a smart shopper who plans ahead can help you hit the road in no time. Take some time and start your search for a new car on ClassifiedAds.com now!